What is more exciting than the arrival of a new baby? 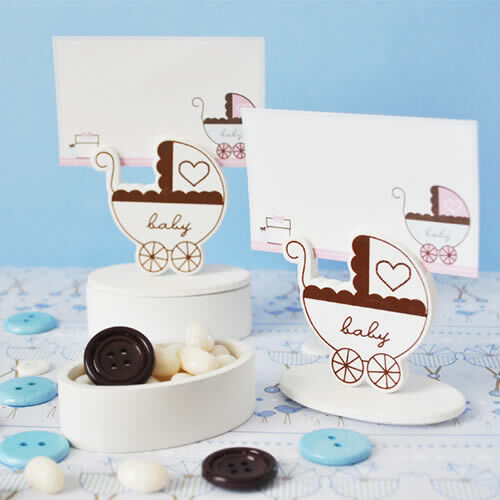 Celebrate your baby in style at your baby shower with these Baby Carriage Place Card Favor Boxes with Designer Place Cards - a place card holder and favor box, all in one! 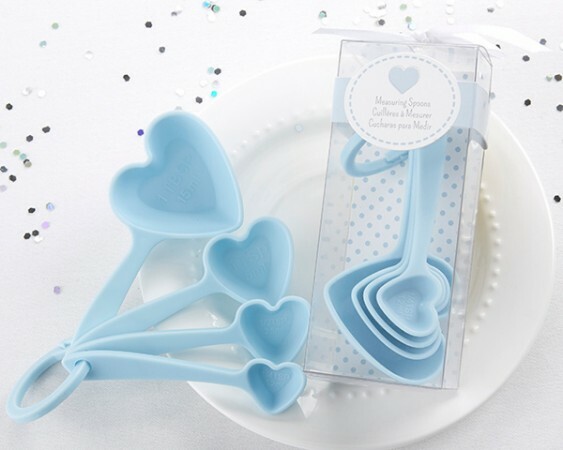 Bring a touch of class to the affair by offering your guests these unique baby shower favors. The white wooden boxes are oval-shaped and can be filled with whatever sweet treat you'd like. The top features an adorable baby carriage that holds the accompanying place card. Your guests know where to sit and they receive a gift to take home to display pictures and store knick-knacks. What more could you want out of a baby shower favor? Size: 3.25" x 2.5" x 1.5"